There is something a little haunting about this shot for my #colorchallenge purple. Evie is a nurse and alternate/cosplay model that volunteered for my underwater project during its first year. I was shooting with a soft underwater case made by Ewa-marine and bought parts from our local hardware store Bunnings to create a frame to attach a lighting rig. I still was battling all the variables with the largest ones being lighting and water clarity in the pool which resulted in extremely hazy captures. Semi dissolved pool chemicals and air bubbles dissolved in the water coming from the heating and filtration pipes were one those things I later found that needed to be addressed. This post received a 2.6% upvote from @randowhale thanks to @chrisdavidphoto! For more information, click here! 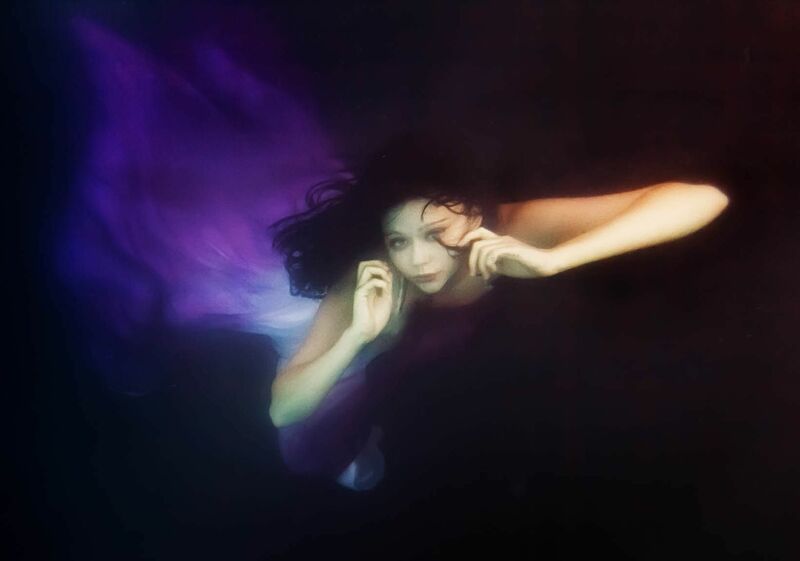 Another great underwater shot, and that purple glow certainly adds a lot to the mystery of the shot. Nice work. Fair play to you for sticking with it, the effect is mesmerizing! Congrats on another amazing shot.